In his 1966 book “The Psychology of Science,” American psychologist Abraham Maslow tackled the idea that those in the field of psychology needed to approach treatment from multiple perspectives, to take on new ideas, and not just continue using the same theories and techniques created by Freud and his followers so many years ago. It may seem curious to refer to psychology in a work on REST and API Design, but it works to illustrate two distinctive points: (1) that all design decisions, regardless of whether they pertain to software or architecture, should be made within the context of functional, behavioral, and social requirements—not random trends; (2) when you only know how to do one thing well, everything tends to look identical. 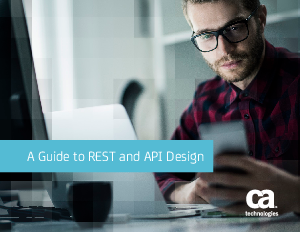 To get started, let’s take a look at REST in some detail by downloading this whitepaper today.